Keep LGBTQ Youth on the State Agenda! 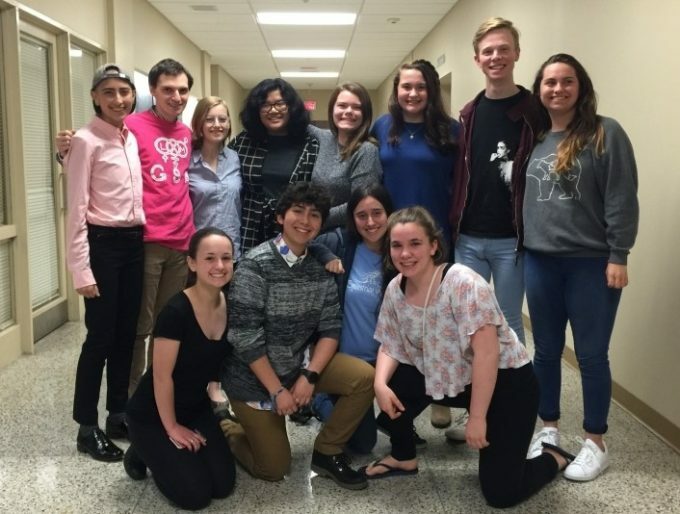 With an ongoing monthly pledge, you can have a major impact by helping the Pennsylvania Youth Congress empower young lesbian, gay, bisexual, transgender, and queer leaders. PYC can rely on your continued support every month to grow even stronger across Pennsylvania. Please click "Join Now" below to become a Keystone Partner. Empowering LGBT Youth in Pennsylvania is easy! Your 100% tax-deductible gift of at least $10 will be charged automatically every month to your credit or debit card, providing continued support for Pennsylvania LGBTQ youth advocacy. Since your donation is processed automatically every month, you do not have to renew - it's the easiest way to give! Your recurring online donation is secure and flexible. You choose the amount you wish to give and you can change, or cancel, your pledge at any time. Join a community of dedicated Keystone Partners from all over the state, whose contributions build the foundation for PYC’s work. For less than a monthly movie subscription, you can make a huge impact! You’ll receive a copy of the official (PYC) policy agenda, filled with helpful information on LGBT youth issues in Pennsylvania and detailing all of the work (PYC) is doing locally and in Harrisburg. Receive insider emails on recent PYC activities and accomplishments, with special projections on developments in Harrisburg. Be the first to hear about PYC events in your region! From regional social events to pride celebrations, this is a great way to meet other (PYC) supporters in your area. Get the E-mails You Want! We can assist you with any questions you have about your e-mail subscription and customize your membership to receive only the e-mails you want. We’ll also provide you periodic updates with important information about your Keystone Partners membership. Keystone Partners who agree to a monthly donation of $25 or more will receive a fashionable canvas tote bag to show off to their friends. This sturdy and stylish bag is perfect for carrying your books to class, holding an extra pair of sneakers after a long day at work, and sunny trips down the shore, all while showing off your Pennsylvania LGBT youth pride!